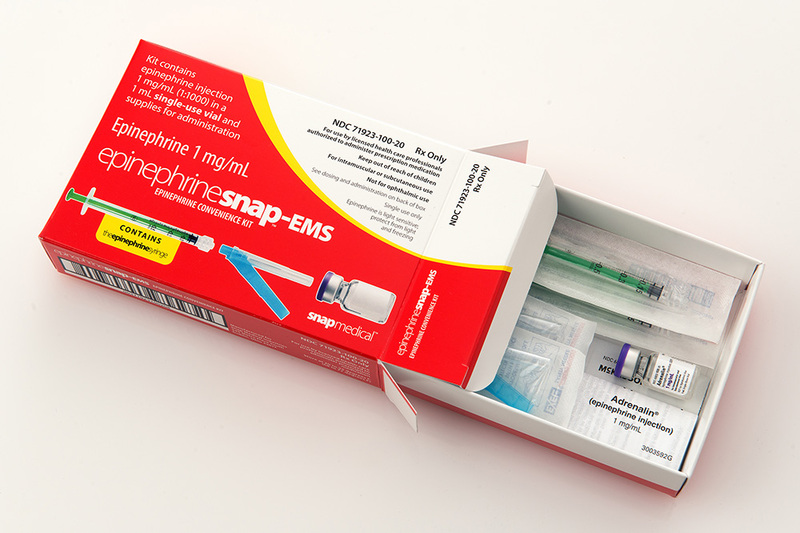 Our EMS kit is specifically designed to meet the protocols of the Emergency Medical market and contains all of the supplies necessary for administering epinephrine to both children and adults. It is assembled in an FDA-approved facility which also carries licensing to repackage pharmaceuticals in all 50 states. 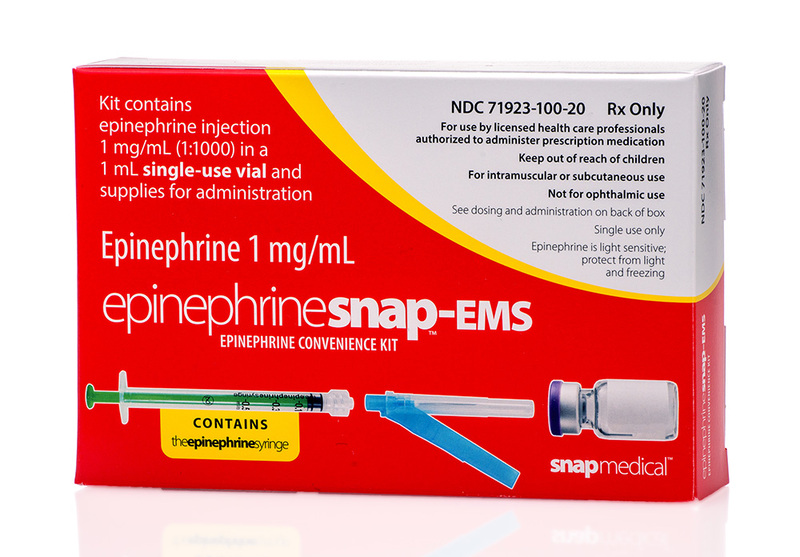 To Order: Contact us at (800) 875-4508 or info@snapmedicalindustries.com. 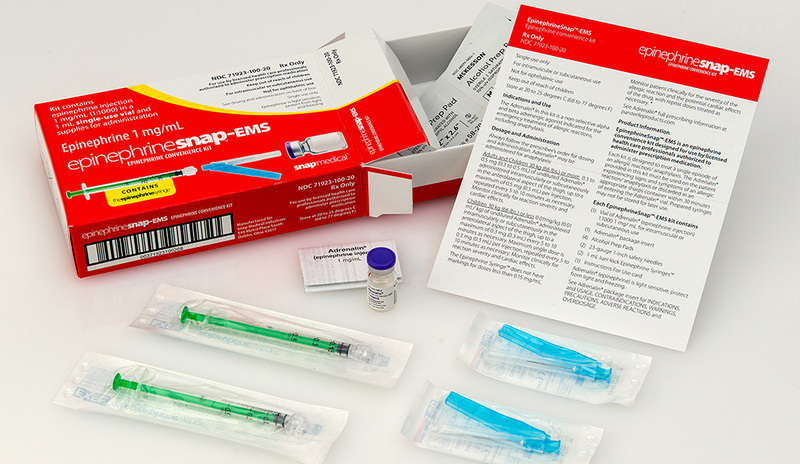 Also available: Our EMS Training and Demonstration Kit provides an opportunity for the clinician to review the actual kit (excluding the Adrenalin).